Welcome to the story of your life. In this chapter we explore the fascinating tale of how you have grown and developed into the person you are today. We also look at some ideas about who you will grow into tomorrow. Yours is a story of lifespan development ([link]), from the start of life to the end. Ainsworth, M. D. S., & Bell, S. M. (1970). Attachment, exploration, and separation: Illustrated by the behavior of one-year-olds in a strange situation. Child Development, 41, 49–67. American Academy of Pediatrics. (2007). The importance of play in promoting healthy child development and maintaining strong parent-child bonds. Pediatrics, 199(1), 182–191. Amsterdam, B. (1972). Mirror image reactions before age two. Developmental Psychobiology, 5, 297–305. Archer, J. (1992). Ethology and human development. New York, NY: Harvester Wheatsheaf. Arnett, J. (2000). Emerging adulthood: A theory of development from the late teens through the twenties. American Psychologist, 55(5), 469–480. Ashley, S. J., Magnuson, S. I., Omnell, L. M., & Clarren, S. K. (1999). Fetal alcohol syndrome: Changes in craniofacial form with age, cognition, and timing of ethanol exposure in the macaque. Teratology, 59(3), 163–172. Bahr, S. J., & Hoffman, J. P. (2010). Parenting style, religiosity, peers, and adolescent heavy drinking. Journal of Studies on Alcohol and Drugs, 71, 539–543. Baillargeon, R. (2004). Infants’ reasoning about hidden objects: Evidence for event-general and event-specific expectations. Developmental Science, 7(4), 391–424. Baillargeon, R. (1987). Young infants’ reasoning about the physical and spatial properties of a hidden object. Cognitive Development, 2(3), 179–200. Baillargeon, R., Li, J., Gertner, Y., & Wu, D. (2011). How do infants reason about physical events. The Wiley-Blackwell handbook of childhood cognitive development, 2, 11–48. Barber, B. K. (1994). Cultural, family, and person contexts of parent-adolescent conflict. Journal of Marriage and the Family, 56, 375–386. Basseches, M. (1984). Dialectical thinking as metasystematic form of cognitive organization. In M. L. Commons, F. A. Richards, & C. Armon (Eds. ), Beyond formal operations: Late adolescent and adult cognitive development (pp. 216–238). New York, NY: Praeger. Bayley, N., & Oden, M. H. (1955). The maintenance of intellectual ability in gifted adults. Journal of Gerontology, 10, 91–107. Bjorklund, D. F. (1987). A note on neonatal imitation. Developmental Review, 7, 86–92. Blossom, M., & Morgan, J.L. (2006). Does the face say what the mouth says? A study of infants’ sensitivity to visual prosody. In 30th anuual Boston University conference on language development, Somerville, MA. Bogartz, R. S., Shinskey, J. L., & Schilling, T. (2000). Infancy, 1(4), 403–428. Bowlby, J. (1969). Attachment and loss: Attachment (Vol. 1). New York, NY: Basic Books. Bowlby, J. (1988). A secure base: Parent-child attachment and health human development. New York, NY: Basic Books. Brumley, R., Enquidanos, S., Jamison, P., Seitz, R., Morgenstern, N., Saito, S., . . . Gonzalez, J. (2007). Increased satisfaction with care and lower costs: Results of a randomized trial of in-home palliative care. Journal of the American Geriatric Society, 55(7), 993–1000. Brumley, R. D., Enquidanos, S., & Cherin, D. A. (2003). Effectiveness of a home-based palliative care program for end-of-life. Journal of Palliative Medicine, 6(5), 715–724. Callaghan, T. C., Rochat, P., Lillard, A., Claux, M.L., Odden, H., Itakura, S., . . . Singh, S. (2005). Synchrony in the onset of mental-state reasoning. Psychological Science, 16, 378–384. Carel, J-C., Lahlou, N., Roger, M., & Chaussain, J. L. (2004). Precocious puberty and statural growth. Human Reproduction Update, 10(2), 135–147. Carstensen, L. L. (1992). Social and emotional patterns in adulthood: Support for socioemotional selectivity. Psychology and Aging, 7(3), 331–338. Case, R. (1985). Intellectual development: Birth to Adulthood. New York, NY: Academic. Casey, B. J., Tottenham, N., Liston, C., & Durston, S. (2005). Imaging the developing brain: What have we learned about cognitive development? TRENDS in Cognitive Sciences, 19(3), 104–110. Chick, K., Heilman-Houser, R., & Hunter, M. (2002). The impact of child care on gender role development and gender stereotypes. Early Childhood Education Journal, 29(3), 149–154. Chomsky, N. (1957). Syntactic structures. The Hague, Netherlands: Mouton. Clements, R. (2004). An investigation of the status of outdoor play. Contemporary Issues in Early Childhood, 5(1), 68–80. Commons, M. L., & Bresette, L. M. (2006). Illuminating major creative scientific innovators with postformal stages. In C. Hoare (Ed. ), Handbook of adult development and learning (pp. 255–280). New York, NY: Oxford University Press. Connor, S. R., Pyenson, B., Fitch, K., Spence, C., & Iwasaki, K. (2007). Comparing hospice and nonhospice patient survival among patients who die within a three-year window. Journal of Pain and Symptom Management, 33(3), 238–246. Courage, M. L., & Howe, M. L. (2002). From infant to child: The dynamics of cognitive change in the second year of life. Psychological Bulletin, 128, 250–277. Curtiss, S. (1981). Dissociations between language and cognition: Cases and implications. Journal of Autism and Developmental Disorders, 11(1), 15–30. de Hevia, M. D., & Spelke, E. S. (2010). Number-space mapping in human infants. Psychological Science, 21(5), 653–660. Diamond, A. (2009). The interplay of biology and the environment broadly defined. Developmental Psychology, 45(1), 1–8. Donenberg, G. R., Wilson, H. W., Emerson, E., Bryant, F. B. (2002). Holding the line with a watchful eye: The impact of perceived parental permissiveness and parental monitoring on risky sexual behavior among adolescents in psychiatric care. AIDS Education Prevention, 14(2), 138–157. Dornbusch, S. M., Ritter, P. L., Leiderman, P. H., Roberts, D. F., & Fraleigh, M. J. (1987). The relation of parenting style to adolescent school performance. Child Development, 58(5), 1244–1257. Duncan, G. J., & Magnuson, K. A. (2005). Can family socioeconomic resources account for racial and ethnic test score gaps? The Future of Children, 15(1), 35–54. Figdor, E., & Kaeser, L. (1998). Concerns mount over punitive approaches to substance abuse among pregnant women. The Guttmacher Report on Public Policy 1(5), 3–5. Fischer, K. W., Yan, Z., & Stewart, J. (2003). Adult cognitive development: Dynamics in the developmental web. In J. Valsiner & K Connolly (Eds. ), Handbook of developmental psychology (pp. 491–516). Thousand Oaks, CA: Sage Publications. Flannery, D. J., Rowe, D. C., & Gulley, B. L. (1993). Impact of pubertal status, timing, and age on adolescent sexual experience and delinquency. Journal of Adolescent Research, 8, 21–40. Freud, S. (1909). Analysis of a phobia in a five-year-old boy. In Collected Papers: Volume 111, Case Histories (1949) (pp. 149–289). Hogarth Press: London. Fromkin, V., Krashen, S., Curtiss, S., Rigler, D., & Rigler, M. (1974). The development of language in Genie: A case of language acquisition beyond the critical period. Brain and Language, 1, 81–107. Galambos, N. L., & Almeida, D. M. (1992). Does parent-adolescent conflict increase in early adolescence? Journal of Marriage and the Family, 54, 737–747. Ganger, J., & Brent, M.R. (2004). Reexamining the vocabulary spurt. Developmental Psychology, 40(4), 621–632. Ge, X., Conger, R. D., & Elder, G. H. (2001). Pubertal transition, stressful life events, and the emergence of gender differences in adolescent depressive symptoms. Developmental Psychology, 37, 404–417. Gervai, J. (2009). Environmental and genetic influences on early attachment. Child and Adolescent Psychiatry and Mental Health, 3, 25. Gesell, A. (1933). Maturation and the patterning of behavior. In C. Murchison (Ed. ), A handbook of child psychology (2nd ed., pp. 209–235). Worcester, MA: Clark University Press. Gesell, A. (1939). Biographies of child development. New York, NY: Paul B. Hoeber. Gesell, A. (1940). The first five years of life. New York, NY: Harper. Gesell, A., & Ilg, F. L. (1946). The child from five to ten. New York, NY: Harper. Gleitman, L.R., & Newport, E. L. (1995). The invention of language by children: Environmental and biological influences on the acquisition of language. In D.N. Osherson , L.R. Gleitman, & M. Liberman (Eds. ), An invitation to cognitive science: Language (pp. 1–24). Cambridge, MA: The MIT Press. Gleitman, L. R., & Newport, E. L. (1995). The invention of language by children: Environmental and biological influences on the acquisition of language. In L. R. Gleitman & M. Liberman (Eds. ), An invitation to cognitive science, Vol. 1: Language. (2nd ed.) (pp. 1–24). Cambridge, MA: MIT Press. Godkin, M., Krant, M., & Doster, N. (1984). 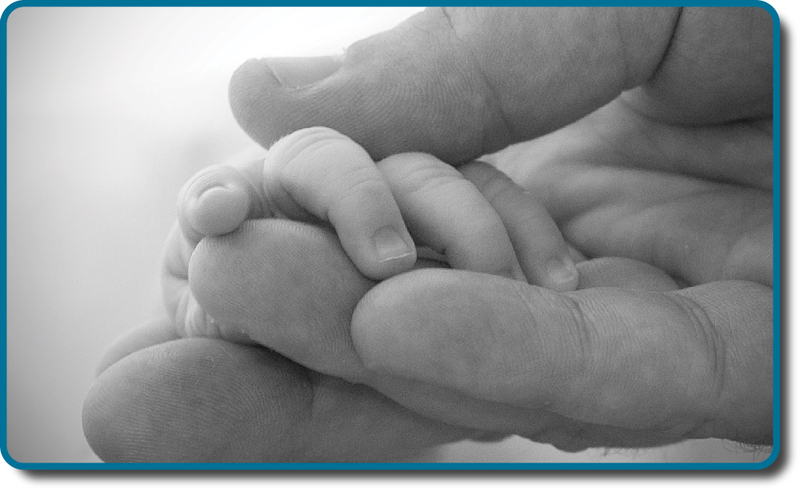 The impact of hospice care on families. International Journal of Psychiatry in Medicine, 13, 153–165. Graber, J. A., Lewinsohn, P. M., Seeley, J. R., & Brooks-Gunn, J. (1997). Is psychopathology associated with the timing of pubertal development? Journal of the Academy of Child and Adolescent Psychiatry, 36, 1768–1776. Hair, E. C., Moore, K. A., Garrett, S. B., Kinukawa, A., Lippman, L., & Michelson, E. (2005). The parent-adolescent relationship scale. In L. Lippman (Ed. ), Conceptualizing and Measuring Indicators of Positive Development: What Do Children Need to Fluorish? (pp. 183–202). New York, NY: Kluwer Academic/Plenum Press. Hall, S. S. (2004, May). The good egg. Discover, 30–39. Hall, G. S. (1904). Adolescence. New York, NY: Appleton. Harris, J. R. (2009). The nurture assumption: Why children turn out the way they do (2nd ed.). New York, NY: Free Press. Hart, B., & Risley, T. R. (2003). The early catastrophe: The 30 million word gap. American Educator, 27(1), 4–9. Hatch, E. (1983). Psycholinguistics: A second language perspective. Rowley, MA: Newbury House. Hertzog, C., Kramer, A. F., Wilson, R. S., & Lindenberger, U. (2009). Enrichment effects on adult cognitive development. Psychological Science in the Public Interest, 9(1), 1–65. Hood, R. W., Jr., Spilka, B., Hunsberger, B., & Corsuch, R. (1996). The psychology of religion: An empirical approach (2nd ed.). New York, NY: Guilford. Hutchinson, N. (2011). A geographically informed vision of skills development. Geographical Education, 24, 15. Huttenlocher, P. R., & Dabholkar, A. S. (1997). Regional differences in synaptogenesis in human cerebral cortex. Journal of Comparative Neurology, 387(2), 167–178. Iverson, J.M., & Goldin-Meadow, S. (2005). Gesture paves the way for language development. Psychological Science, 16(5), 367–71. Iyengar, S. S., Wells, R. E., & Schwartz, B. (2006). Doing better but feeling worse: Looking for the best job undermines satisfaction. Psychological Science, 17, 143–150. Jos, P. H., Marshall, M. F., & Perlmutter, M. (1995). The Charleston policy on cocaine use during pregnancy: A cautionary tale. The Journal of Law, Medicine & Ethics, 23(2), 120–128. Kaltiala-Heino, R. A., Rimpela, M., Rissanen, A., & Rantanen, P. (2001). Early puberty and early sexual activity are associated with bulimic-type eating pathology in middle adolescence. Journal of Adolescent Health, 28, 346–352. Kaplan, H., & Dove, H. (1987). Infant development among the Aché of Eastern Paraguay. Developmental Psychology, 23, 190–198. Karasik, L. B., Adolph, K. E., Tamis-LeMonda, C. S., & Bornstein, M. H. (2010). WEIRD Walking: Cross-cultural research on motor development. Behavioral & Brain Sciences, 33(2-3), 95–96. Karnik, S., & Kanekar, A. (2012). Childhood obesity: A global public health crisis. International Journal of Preventive Medicine, 3(1), 1–7. Kohlberg, L. (1969). Stage and sequence: The cognitive-developmental approach to socialization. In D. A. Goslin (Ed. ), Handbook of socialization theory and research (p. 379). Chicago, IL: Rand McNally. Kolb, B., & Whishaw, I. Q. (2009). Fundamentals of human neuropsychology. New York, NY: Worth. Labouvie-Vief, G., & Diehl, M. (1999). Self and personality development. In J. C. Cavanaugh & S. K. Whitbourne (Eds. ), Gerontology: An interdisciplinary perspective (pp. 238–268). New York, NY: Oxford University Press. Larson, E. B., Wang, L., Bowen, J. D., McCormick, W. C., Teri, L., Crane, P., & Kukull, W. (2006). Exercise is associated with reduced risk for incident dementia among persons 65 years of age or older. Annals of Internal Medicine, 144, 73–81. Lee, V. E., & Burkam, D. T. (2002). Inequality at the starting gate: Social background differences in achievement as children begin school. Washington, DC: Economic Policy Institute. Lobo, I. (2008) Environmental influences on gene expression. Nature Education 1(1), 39. Maccoby, E. (1980). Social development: Psychological growth and the parent-child relationship. New York, NY: Harcourt Brace Jovanovich. MacFarlane, A. (1978, February). What a baby knows. Human Nature, 74–81. Maier, S. E., & West, J. R. (2001). Drinking patterns and alcohol-related birth defects. Alcohol Research & Health, 25(3), 168–174. Main, M., & Solomon, J. (1990). Procedures for identifying infants as disorganized/disoriented during the Ainsworth Strange Situation. In M. T. Greenberg, D. Cicchetti, & E. M. Cummings (Eds. ), Attachment in the Preschool Years (pp. 121–160). Chicago, IL: University of Chicago Press. Markus, H. R., Ryff, C. D., Curan, K., & Palmersheim, K. A. (2004). In their own words: Well-being at midlife among high school-educated and college-educated adults. In O. G. Brim, C. D. Ryff, & R. C. Kessler (Eds. ), How healthy are we? A national study of well-being at midlife (pp. 273–319). Chicago, IL: University of Chicago Press. McMillan, S. C., Small, B. J., Weitzner, M., Schonwetter, R., Tittle, M., Moody, L., & Haley, W. E. (2006). Impact of coping skills intervention with family caregivers of hospice patients with cancer. Cancer, 106(1), 214-222. Miklikowska, M., Duriez, B., & Soenens, B. (2011). Family roots of empathy-related characteristics: The role of perceived maternal and paternal need support in adolescence. Developmental Psychology, 47(5), 1342–1352. Mills, M., & Melhuish, E. (1974). Recognition of mother’s voice in early infancy. Nature, 252, 123–124. Moore, K. A., Guzman, L., Hair, E. C., Lippman, L., & Garrett, S. B. (2004). Parent-teen relationships and interactions: Far more positive than not. Child Trends Research Brief, 2004-25. Washington, DC: Child Trends. Nolen-Hoeksema, S., & Larson, J. (1999). Coping with loss. Mahweh, NJ: Erlbaum. Overman, W. H., Bachevalier, J., Turner, M., & Peuster, A. (1992). Object recognition versus object discrimination: Comparison between human infants and infant monkeys. Behavioral Neuroscience, 106, 15–29. Paloutzian, R. F. (1996). Invitation to the psychology of religion. Boston, MA: Allyn & Bacon. Parent, J., Forehand, R., Merchant, M. J., Edwards, M. C., Conners-Burrow, N. A., Long, N., & Jones, D. J. (2011). The relation of harsh and permissive discipline with child disruptive behaviors: Does child gender make a difference in an at-risk sample? Journal of Family Violence, 26, 527–533. Pickens, J. (1994). Full-term and preterm infants’ perception of face-voice synchrony. Infant Behavior and Development, 17, 447–455. Piaget, J. (1930). The child’s conception of the world. New York, NY: Harcourt, Brace & World. Piaget, J. (1932). The moral judgment of the child. New York, NY: Harcourt, Brace & World. Podewils, L. J., Guallar, E., Kuller, L. H., Fried, L. P., Lopez, O. L., Carlson, M., & Lyketsos, C. G. (2005). Physical activity, APOE genotype, and dementia risk: Findings from the Cardiovascular Health Cognition Study. American Journal of Epidemiology, 161, 639–651. Pollack, W., & Shuster, T. (2000). Real boys’ voices. New York, NY: Random House. Rhodes, R. L., Mitchell, S. L., Miller, S. C., Connor, S. R., & Teno, J. M. (2008). Bereaved family members’ evaluation of hospice care: What factors influence overall satisfaction with services? Journal of Pain and Symptom Management, 35, 365–371. Risley, T. R., & Hart, B. (2006). Promoting early language development. In N. F. Watt, C. Ayoub, R. H. Bradley, J. E. Puma, & W. A. LeBoeuf (Eds. ), The crisis in youth mental health: Early intervention programs and policies (Vol. 4, pp. 83–88). Westport, CT: Praeger. Rothbaum, R., Weisz, J., Pott, M., Miyake, K., & Morelli, G. (2000). Attachment and culture: Security in the United States and Japan. American Psychologist, 55, 1093–1104. Russell, S. T., Crockett, L. J., & Chao, R. (Eds.). (2010). Asian American parenting and parent-adolescent relationships. In R. Levesque (Series Ed. ), Advancing responsible adolescent development. New York, NY: Springer. Ryff, C. D., & Singer, B. (2009). Understanding healthy aging: Key components and their integration. In V. L. Bengtson, D. Gans., N. M. Putney, & M. Silverstein. (Eds. ), Handbook of theories of aging (2nd ed., pp. 117–144). New York, NY: Springer. Samarel, N. (1991). Caring for life after death. Washington, DC: Hemisphere. Sanson, A., & Rothbart, M. K. (1995). Child temperament and parenting. In M. Bornstein (Ed. ), Applied and practical parenting (Vol. 4, pp. 299–321). Mahwah, NJ: Lawrence Erlbaum. Schechter, C., & Byeb, B. (2007). Preliminary evidence for the impact of mixed-income preschools on low-income children’s language growth. Early Childhood Research Quarterly, 22, 137–146. Shamay-Tsoory, S. G., Tomer, R., & Aharon-Peretz, J. (2005). The neuroanatomical basis of understanding sarcasm and its relationship to social cognition. Neuropsychology, 19(3), 288–300. Shanahan, L., McHale, S. M., Osgood, D. W., & Crouter, A. C. (2007). Conflict frequency with mothers and fathers from middle childhood to late adolescence: Within and between family comparisons. Developmental Psychology, 43, 539–550. Siegler, R. S. (2005). Children’s thinking (4th ed). Mahwah, NJ: Erlbaum. Siegler, R. S. (2006). Microgenetic analyses of learning. In D. Kuhn & R. S. Siegler (Eds. ), Handbook of child psychology: Cognition, perception, and language (6th ed., Vol. 2). New York: Wiley. Sinnott, J. D. (1998). The development of logic in adulthood: Postformal thought and its applications. New York, NY: Springer. Small, M. F. (1999). Our babies, ourselves: How biology and culture shape the way we parent. New York, NY: Anchor Books. Spelke, E.S., & Cortelyou, A. (1981). Perceptual aspects of social knowing: Looking and listening in infancy. In M.E. Lamb & L.R. Sherrod (Eds. ), Infant social cognition: Empirical and theoretical considerations (pp. 61–83). Hillsdale, NJ: Erlbaum. Steinberg, L., & Morris, A. S. (2001). Adolescent development. Annual Review of Psychology, 52, 83–110. Sterns, H. L., & Huyck, M. H. (2001). The role of work in midlife. In M. Lachman (Ed. ), The handbook of midlife development (pp. 447–486). New York, NY:Wiley. Steven L. Youngentob, et. al. (2007). Experience-induced fetal plasticity: The effect of gestational ethanol exposure on the behavioral and neurophysiologic olfactory response to ethanol odor in early postnatal and adult rats. Behavioral Neuroscience, 121(6), 1293–1305. Stork, F. C., & Widdowson, D. A. (1974). Learning about linguistics. London, UK: Hutchinson Ltd.
Streissguth, A. P., Bookstein, F. L., Barr, H. M., Sampson, P. D., O’Malley, K., & Young, J. K. (2004). Risk factors for adverse life outcomes in fetal alcohol syndrome and fetal alcohol effects. Developmental and Behavioral Pediatrics, 25(4), 228–238. Tanner, J. M. (1978). Fetus into man: Physical growth from conception to maturity. Cambridge, MA: Harvard University Press. Temel, J. S., Greer, J. A., Muzikansky, A., Gallagher, E. R., Admane, S., Jackson, V. A. . . . Lynch, T. J. (2010). Early palliative care for patients with metastic non-small-cell lung cancer. New England Journal of Medicine, 363, 733–742. Thomas, A. (1984). Temperament research: Where we are, where we are going. Merrill-Palmer Quarterly, 30(2), 103–109. Tran, T. D., & Kelly, S. J. (2003). Critical periods for ethanol-induced cell loss in the hippocampal formation. Neurotoxicology and Teratology, 25(5), 519–528. Umberson, D., Pudrovska, T., & Reczek, C. (2010). Parenthood, childlessness, and well-being: A life course perspective. Journal of Marriage and the Family, 72(3), 612–629. United Nations Educational, Scientific and Cultural Organization. (2013, June). UIS Fact Sheet: Schooling for millions of children jeopardized by reductions in aid. Montreal, Canada: UNESCO Institute for Statistics. Vaillant, G. E. (2002). Aging well. New York, NY: Little Brown & Co.
Van der Graaff, J., Branje, S., De Wied, M., Hawk, S., Van Lier, P., & Meeus, W. (2013). Perspective taking and empathetic concern in adolescence: Gender differences in developmental changes. Developmental Psychology, 50(3), 881.
van Ijzendoorn, M. H., & Sagi-Schwartz, A. (2008). Cross-cultural patterns of attachment: Universal and contextual dimensions. In J. Cassidy & P. R. Shaver (Eds. ), Handbook of attachment. New York, NY: Guilford. Vouloumanos, A., & Werker, J. F. (2004). Tuned to the signal: The privileged status of speech for young infants. Developmental Science, 7, 270–276. WHO Multicentre Growth Reference Study Group. (2006). WHO Child growth standards: Methods and development: Length/height-for-age, weight-for-age, weight-for-length, weight-for-height and body mass index-for-age. Geneva, Switzerland: World Health Organization. Winerman, L. (2011). Closing the achievement gap. Monitor of Psychology, 42(8), 36.